to be a vital Christian community, affirming the gifts of all God’s people: women and men; young and old; of every race, ethnic origin, sexual orientation, gender identity, ability, and disability. We are called by God to support each other at every stage of our faith journey as we pray, worship, proclaim the Gospel, and promote justice, peace, and love. By these means, we seek to restore all to unity with God and each other in Christ. In the liturgical life of the Church, Easter is a season, not a day, extending through fifty days to the Day of Pentecost. Beyond this, every Sunday is a “mini-Easter”. Let the good news of Easter shape your life, and you will be blessed. 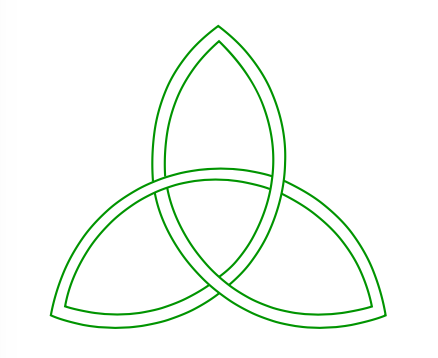 Join us in this spiritual fellowship of Trinity Church, and we will be blessed by the journey with you. Your support is critically needed! and meals for homeless families. Donations needed by April 28! Trinity Youth (13+ group) are collecting items they will package and deliver to those in need. Donation drop-off boxes are at the back of the church and in the Youth Room for mid-week drop offs during office hours. Trinity will again support AFRICAN TEAM MINISTRIES with the sale of reasonably-priced crafts, jewelry, and accessories, downstairs in the PARISH HALL between services. Proceeds go directly toward improving the health and well-being of local East African Communities. This month's book selection is Educated: A Memoir, by Tara Westover. All are welcome! Hosts are needed! See contacts below. See this signup sheet to indicate your RSVP and what you will bring/do.